The ball has been used from generation to generation as a sporting apparatus. With time, it was discovered that weighted balls could aid people during fitness training. This led to the invention of medicine balls. They are used during a workout for toning, strength and weight training. Medicine balls are weighted. Their weight and diameter vary according to the trainee's experience. Many of them are round in shape and some of them come with handles. What does a medicine ball do? A lot can be achieved by using the best medicine balls during workouts. Today, gyms are accommodating people of all ages. The best medicine ball exercises can be used to orient children in the gym. The best medicine balls are good for self-massaging. Users can roll them against particular parts of the body to relieve the muscles. Numerous exercises like the lunges, squats, step jump etc can be undertaken using medicine ball. It helps users build resistance during workouts. Using the best medicine balls workouts helps individuals improve their swiftness and reaction. They train the body to adapt fast to various exercises. There are different types of medicine balls available. Soft medicine balls do not bounce at the time of impact. They are capped with vinyl or leather material. Medicine balls that bounce are also known as slam balls. These balls can bounce upon impact and are capped with a hard material. Grab the ball in a throwing position while tightening the abs. Hold on until the exercise session is over. This is a great way of strengthening and improving the appearance of the abs. A light medicine ball is more effective that a heavier one. Use a lighter ball to improve endurance, momentum, and concentration. One can easily achieve the rotational blast with a medicine ball. Begin by squatting while holding the ball near the chest. Ensure that the arms, hips ankles and knees remain fully extended, stand up, rotate and blast the ball on the floor. Aim at the outer side of the left foot. Pick the ball after it bounces and rotate to blast on the other side. This exercise increases concentration and speed. The medicine ball is versatile. Users do not require a lot of space to exercise. Additionally, a medicine ball set for sale can be readily accessed. This is good news especially for people who like exercising from home. People struggling with back problems can use the medicine ball to massage and strengthen the muscles. It plays an important role in strengthening and toning abdominal muscles. One can never run out of exercises with this ball. The advantages of the medicine ball are beyond measure. However, novices are prone to injury. Due to the elasticity of the medicine ball, people need to master balancing so as to avoid falls. Beginners should practice consistently before making it an ultimate fitness tool. The medicine ball increases resistance. With time, one is able to withstand lifting heavy equipment in their day to day lives. Medicine ball workouts are all rounded. They strengthen various muscles concurrently. They help users to improve their body balance, vigor and acceleration. They are fun and interesting. Users can exercise in groups. There are endless exercises to try using medicine balls. Using a medicine ball to exercise with a partner enhances eye to hand coordination. It heightens concentration levels and improves speed. The best medicine ball workouts are fast gaining recognition. It can be difficult to figure out the best ball to purchase. Below is a review of the best medicine balls available. This rubber medicine ball has an elaborate finish to enhance its grip. It is made of durable material. It comes complete with an instruction sheet and visible weight stamps. This gives the trainee an easy time in recognizing the ideal weight for their needs. There are various bold colors to choose from. Relax the muscles with these 3 set medicine balls. They come in different densities. They are made from sturdy materials and have the capability to massage various muscles. Each ball comes in a different color for ease of identification. These balls are ideal for beginners. 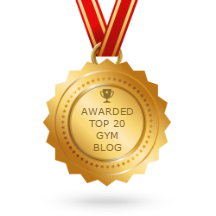 They help them gain momentum as they progress with the different weights. 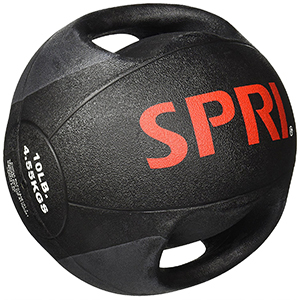 With this dual grip medicine ball, it is easy to achieve the rotational and abdominal workouts. It comes with an instruction DVD and sheet for beginners. This leather medicine ball is made from durable material. It has a firm grip and can be used for all fitness workouts. By using this ball, users can improve their strength, build their muscles and enhance their cardio activity. Valeo medicine balls are structured to improve core stamina. They are made from thick and durable rubber material. This gives them a bounce upon impact. They have a firm grip and are available in various weights. These balls are good for body balance training. The ZoN Soft Medicine Ball's cover is made of vinyl material. It is easy to use and has a firm grip. It is medium sized. Users can use it to do many different exercises. It is ideal for people looking to improve their flexibility and resistance. The Empower Fingertip Grip Medicine Ball is specially designed with fingertip grips. It is available in different weights and is easy to use. It is durable and enhances core body stamina. It comes with a power abs DVD. This ball increases acceleration, stamina, and helps in toning the muscles. Made from sturdy material, it has a great bounce upon impact. The outer cover is made of soft material. It is durable and available in a variety of colors. The Champion Barbell Hand Held Fitness Ball is small and convenient to use. It is ideal for improving the performance of the shoulder girdle muscles. It is made from soft vinyl material and can be used for cardio-strengthening exercises. Medicine balls are an ideal way of keeping fit. They are available at reasonable prices and anyone can be able to use them. They are versatile. One does not have to go to the gym to exercise and they require little space. They are easy to use and some of them come with instruction manuals. The ideal medicine balls should be made of soft yet sturdy material. Durability is of utmost importance too. Beginners should look for textured balls as they have a firm grip. Getting used to a medicine ball can be difficult at the beginning, however, continuous use increases an individual's balance and resistance. Exercising is good for the body. It boosts health. However, novices should start gradually. Warm up exercises prepare the body for vigorous exercises. Always be careful to avoid injuries. Many people who would like to workout have limited time or cannot afford the gym. Such people can adopt the use of m﻿edicine balls to exercise at home. It is however important to first consult a health expert before commencing medicine ball training; especially for people with health complications.